Discussion in 'Mapping Questions & Discussion' started by Bakscratch, Dec 18, 2010. I will add some more in the future if I can be bothered and if you want it. 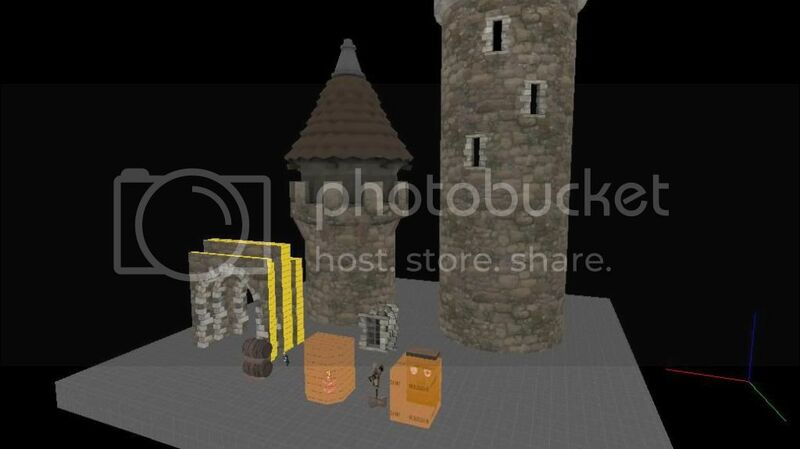 EDIT: Added Castle doors perfect for CTF or Spawn rooms. Added Castle doors perfect for CTF or Spawn rooms. Nice job. Should definitely be useful in the future. It certainly isn't aloud, but it is allowed, and pretty good by the looks of it. Is that download site working? EDIT: Oh, apparently it did. I'd suggest using a site where I dont get told about perfect women from eastern europe five times before I fugure out how to download the file. I always enjoy seeing under dogs. No, you have to put the file in the Public folder then copy the public link. Or just upload it to the TF2M servers. Need the game mode enitity! "The entity class is tf_logic_medieval with an id 438315. However, the class does not exist in Hammer as of now." @PointClass base(Targetname) = tf_logic_medieval : "Proxy entity for medieval mode"
@PointClass base(Targetname) = tf_logic_cp_timer : "CP timer entity used by degrootkeep"
timer_length(integer) : "Timer length (in seconds)" : 60 : "Initial timer length." controlpoint(string) : "Control Point" : "" : "Used by degrootkeep. Set to name of linked control point." output OnCountDownStart(void) : "Sent when the countdown starts." output OnCountdownEnd(void) : "Sent when the countdown ends." Yes the download link to his dropbox works now. Would you like me to add melee mode? If you copy the tf_logic_medieval entity directly from the decompiled degrootkeep to you prefab pack then that will help people that don't fix their fgd's. Ok, I think that should work. Just copying did it but at the start of the map it gave a sort of grey text error. Not sure if that's it's fault or my maps but first time seeing it.